The Yukon Gold potato is the ideal mashing potato for this recipe; leave the skin on for extra nutritional value. Shepherd’s herd lamb (not beef) but feel free to substitute. Garlic combined with the sweet richness of caramelized onion is the perfect topping. 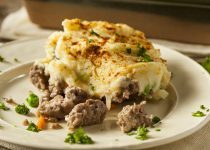 The Yukon Gold potato is the ideal mashing potato for this recipe; leave the skin on for extra nutritional value. Shepherd's herd lamb (not beef) but feel free to substitute. Garlic combined with the sweet richness of caramelized onion is the perfect topping. Fry lamb until starting to brown. Stir in the onion and garlic; continue cooking until the mixture is well browned. Stir in the flour; whisk in the stock and cook until begins to thicken. Season with thyme, parsley, Worcestershire sauce, salt and pepper. Stir in vegetables. Transfer to a lightly oiled medium casserole. Quarter scrubbed potatoes and cook in large pot of salted water. Microwave 1/2c butter in small bowl before adding 2 tbsp Caramelized Onion Garlic Mashed seasoning. Let sit while potatoes are cooking. Drain cooked potatoes, add seasoned butter - mash well. Add warmed milk, mashing to desire consistency. 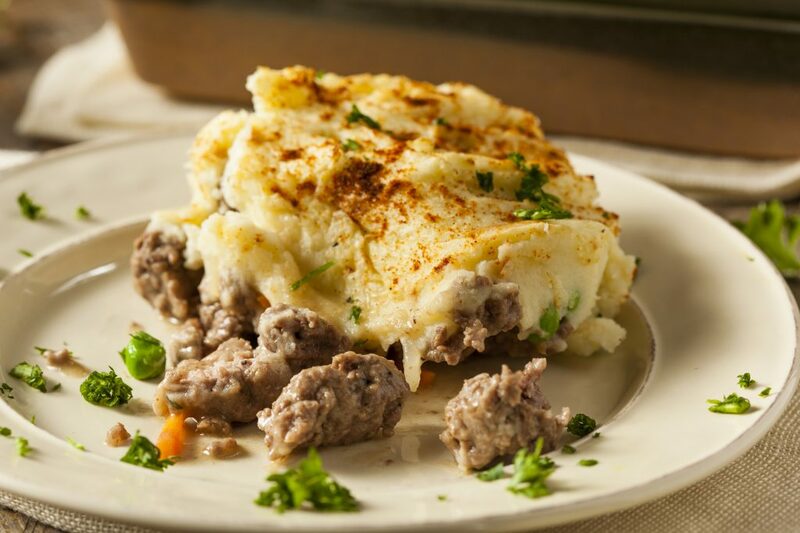 Spread potato mash over meat, making ridges with a fork. Bake, uncovered 375F (190C) for 1 hr. or until golden. NOTE: Can substitute mashed potato seasoning with another selection of Garlic Box garlic potato seasonings.